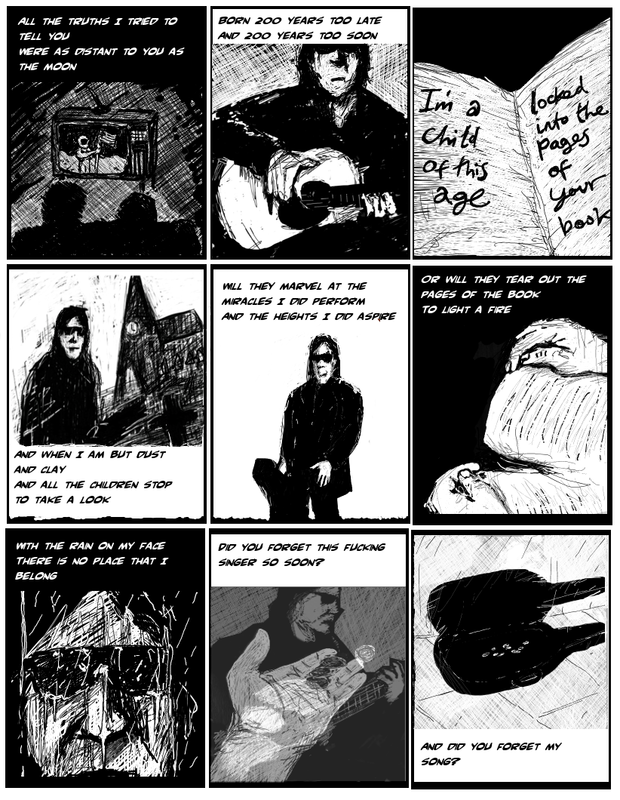 Nick Cave's song The Singer, inspired in part by the Johnny Cash number, The Folk Singer is the narrative for this tale of a forgotten musician. Song Lyrics copyright of their respected owners. 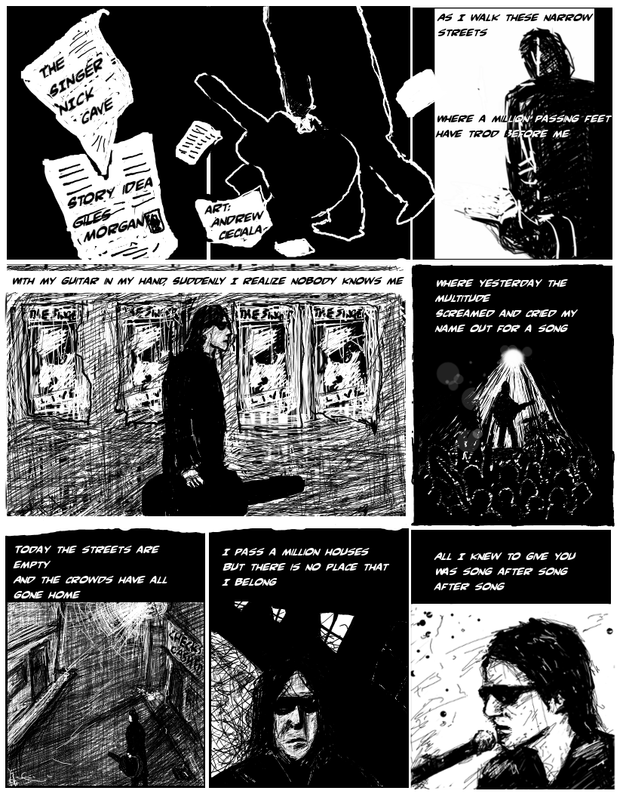 Idea for the story by Giles Morgan with art by Andrew Cieciala.